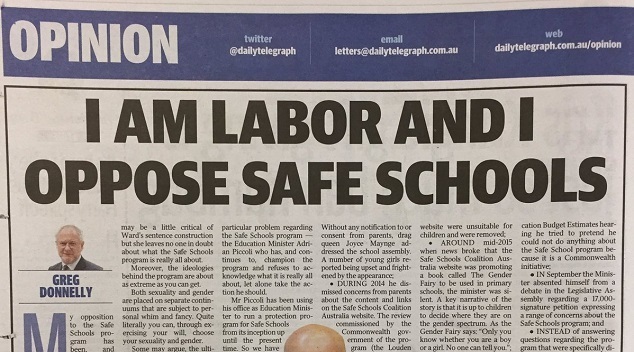 An opinion piece penned by NSW Labor MLC Greg Donnelly printed in today’s Daily Telegraph has been condemned by members of Rainbow Labor for it’s anti-Safe Schools position. Mr Donnelly, who has spoken against LGBT equality many times during his tenure in NSW parliament, wrote that his opposition to the Safe Schools program is “absolute”. “It is not because it’s an anti-bullying program. It’s because it was never an anti-bullying program in the first place,” Mr Donnelly wrote. Rainbow Labor members Alex West and Andre Charadia have released a statement denouncing Donnelly’s article. The Rainbow Labor representatives acknowledged the article comes on the same day it was revealed that a 13-year-old boy had committed suicide in Queensland after years of relentless homophobic bullying at school. 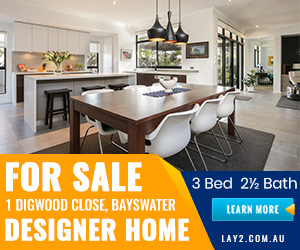 LGBTIQ+ publication SameSame have also acknowledged that Daily Telegraph publishers News Corp are major sponsors of the Midsumma festival – Victoria’s premier queer arts and cultural event. Midsumma have responded to Twitter followers, ensuring that they are in talks with News Corp about community concerns. Hi @bromideW The new Midsumma team hear the concern about News Corp support (2nd year) & are talking to them about the concerns. Stay tuned!